Thomas Baker, the College's first historian, who died in 1740, left a collection of about forty manuscript volumes that include both notes on the history of St John's and biographical notes on College Members. Another Fellow , J. E. B. Mayor, edited Baker's History of the College of St John the Evangelist for publication, and also published an edition of the College Admissions Registers, with extensively researched biographical notes, for the period from 1629 to 1715. Publication was continued by Sir Robert Scott ( Master 1908-33) for the Registers up to 1802. Scott and another Fellow, F. P. White (Fellow 1919-69), actively researched into the lives of College Members and together provided much of the information on Johnians published in J. and J. A. Venn's Alumni Cantabrigienses. This is a reference work covering all Members of Cambridge University up to 1900. White also began to transfer all the existing information onto individual record sheets, so that there is now a single sheet, or page in a bound volume, for every Member, many of them annotated and cross-referenced to other sources. White also began to add to these from his daily searches through the newspapers and leading journals, a process continued by Norman Buck (Sub Librarian 1956-82) and then by Malcolm Pratt, Sub Librarian, who retired in 1990. The College was also one of the earliest clients of an international press cutting agency, receiving regular cuttings from the 1930s onwards. 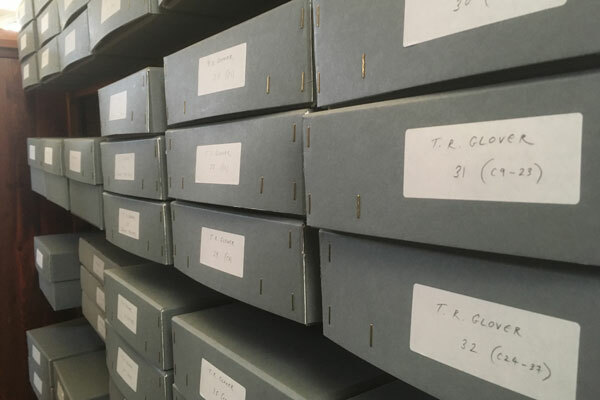 Since 1990 the paper archive has been supplemented by a database of biographical information, which is kept up to date as a result of members of College providing details of what they have gone on to do since leaving the College. Together the archive and the database provide material for the Register of Twentieth-Century Johnians, a publication in two volumes which will include over 17,000 entries, arranged alphabetically, with a list of members arranged within academic years provided at the back. Volume 1 (including all those who matriculated between 1900 and 1949) was published in 2004; and work is underway regarding the entries for those who were admitted to the College in the second half of the century. The backbone of each entry are the details of birth, parentage and schooling (recorded for every member in the Admissions Registers), together with basic details of College and University career, but supplemented wherever possible by information on later occupations, achievements, marriages and children. 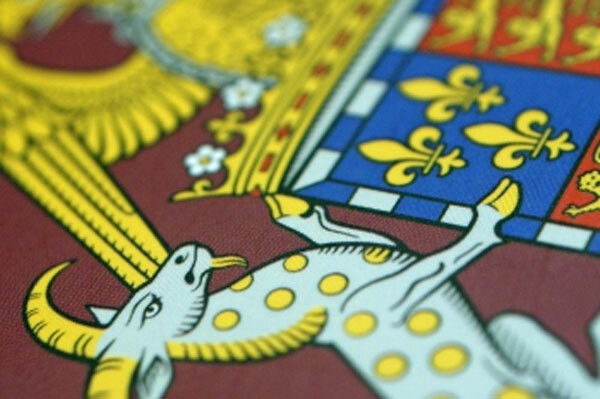 Johnians who matriculated in the first half of the twentieth century were given an opportunity to check their entries, and those who matriculated in the second half of the century will have their draft entries forwarded to them in advance of the publication of Volume 2. 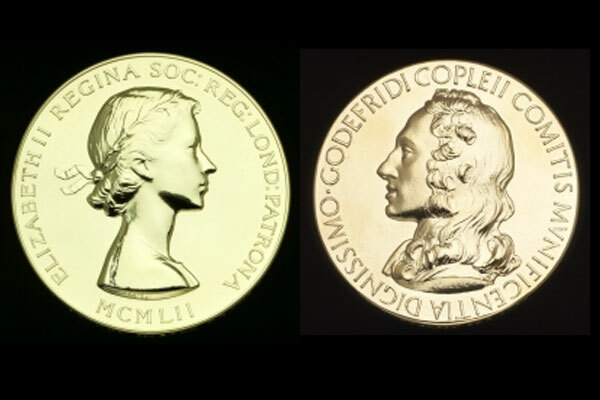 Although it is the comprehensiveness of the collection that makes it special, the Biographical Archive includes material on such famous Johnians as: Actors - Sir Derek Jacobi, Jonathan Miller; Architects - Sir Hugh Casson, Sir Nikolaus Pevsner; Explorers - Sir Vivian Fuchs, Sir James Wordie; Nobel Laureates - Sir Edward Appleton, Sir John Cockcroft, Allan Cormack, Paul A. M. Dirac, Sir Neville Mott, Abdus Salam, Frederick Sanger, Maurice Wilkins; Novelists - Douglas Adams, Frederic Raphael, Piers Paul Read; Poets - Matthew Prior, William Wordsworth; Scientists - John Couch Adams (discovered the planet Neptune), Sir John Herschel (astronomer and pioneer photographer), Sir Harold Jeffreys (mathematician and geophysicist), Sir Charles Parsons (inventor and builder of the first turbine engine); Sportsmen - Rob Andrew (rugby), Trevor Bailey (cricket), Chris Brasher (athletics and marathon), and Mike Brearley (cricket). The project to produce a biographical register containing entries for all Johnians who were admitted to the College during the twentieth century is well underway. Volume 1, which includes entries for all those who were admitted to the College between 1900 and 1949, has now been published. It is a hardback book which is available to purchase from the Biographical Office for £30 (plus UK p&p £6.00, overseas £10.00). Please contact the Biographical Librarian, Fiona Colbert, if you wish to order a copy of this or would like further details. Printouts of data were sent out with Johnian Dinner invitations as part of the work towards producing Volume 1, in order to ensure the accuracy of the information the College holds. We will also offer the opportunity to amend and update information to those who were admitted to the College in the second half of the twentieth century, and who will therefore appear in a future volume of the Register. Any member of the College is welcome to contact Fiona Colbert, or the Biographical Assistant, Paul Everest, at any time if they wish to check and update the information held on them. Since their establishment in 1895, Nobel Prizes have, to date, been won by nine Johnians - including one double-winner in Frederick Sanger. 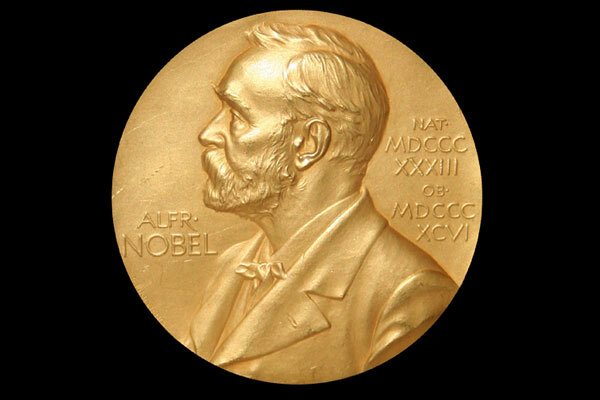 For more information about the College's list of Nobel Laureates, click here. Please include your full name (including name at admission to the College, if different), the year you came up to St John’s, and contact details such as email and postal addresses. If you wish to submit information for publication in the Members' News section of The Eagle, please also complete the form on the Development Office pages of the website. If you wish to report the death of a member of the College please include the exact date of death and details of next of kin (if known), in addition to your own name, contact details, and relationship to the deceased. It is not necessary to complete the form mentioned above in order to ensure a death notice appears in The Eagle - the recent death of Johnians will automatically appear in that publication. Johnians who wish to check what information is already on their biographical record should contact the Biographical Librarian, Fiona Colbert, or the Biographical Assistant, Paul Everest. Fiona's telephone number is 01223 338772, but please note email is the preferred method of communication. Messages left on voicemail or with another member of College staff which only include a phone number and no other contact details will result in only two attempts to return the call, therefore those without a messaging service should phone again after a week if they have not received a response. * Please note that due to the large number of enquiries received, it may take a while for your enquiry to be answered fully, but an acknowledgement will be sent within a few days of receipt.